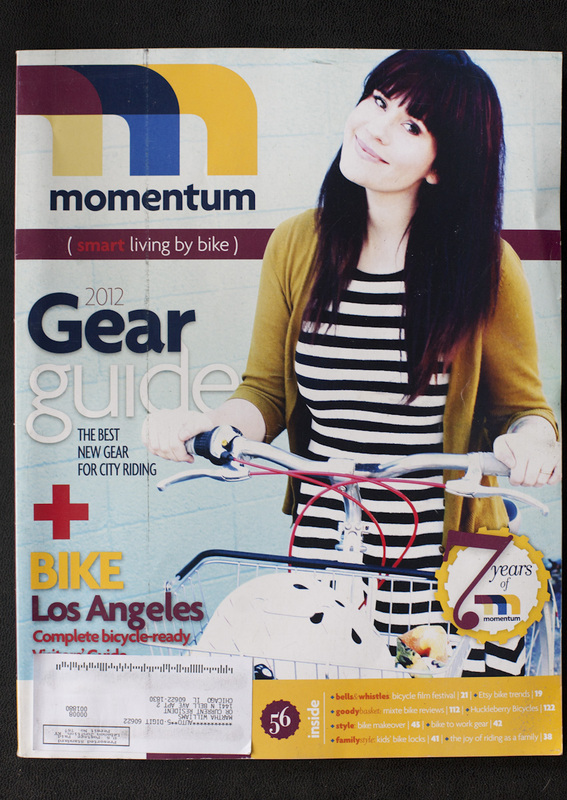 Pretty psyched to have some photos in the May/June issue of Momentum Magazine. Check out the article "The New Face of Cycling." Thanks to Genaro and Adolofo for meeting me on a cold Sunday. What are you wearing? My shirt purse, shoes and skirt were all purchased from thrift or discount stores. The scarf I have in my hair was from the Alameda flea market in california, and my jacket is from the Gap. Why ride? 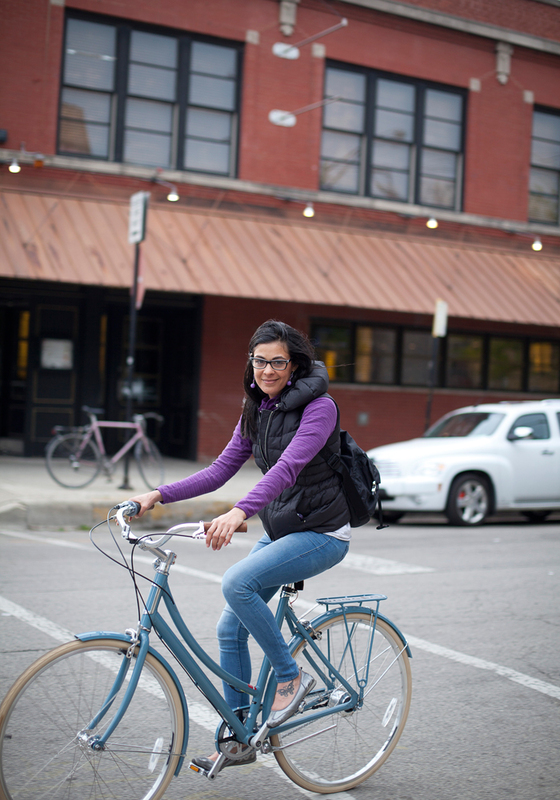 I ride because it gives me a very tangible feeling of freedom and when so much of life feels out of ones control, biking can be a huge release. While riding you …? When I'm riding I tend to focus in on what's happening around me and it pushes all other thoughts away. 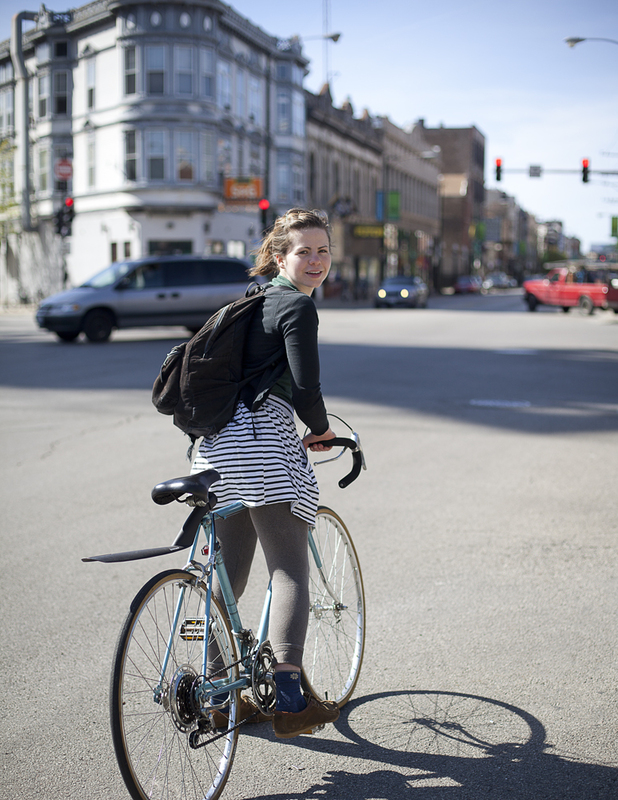 How can Chicago improve bike infrastructure and be more friendly? I think it would be incredible if the city would replace street parking with car width bike lanes to encourage more commuting by bike. What are you wearing? 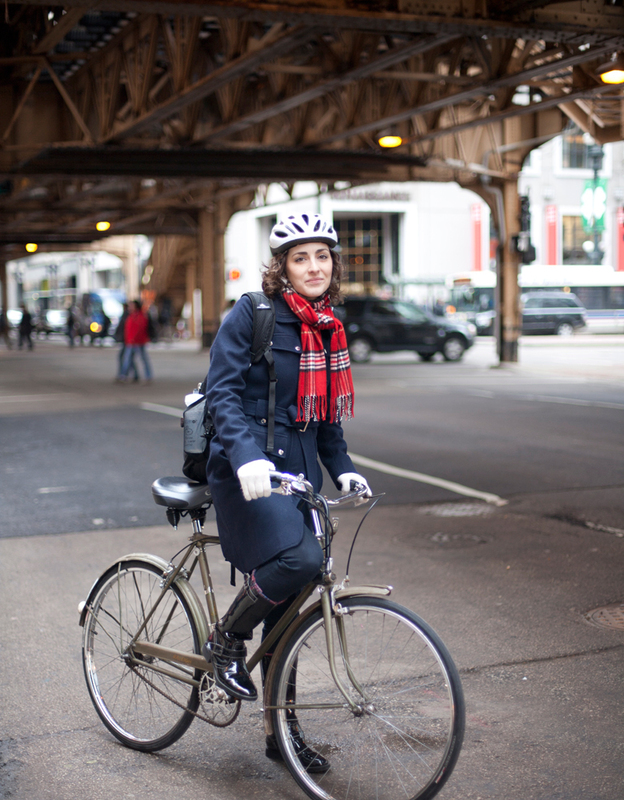 I am wearing my favoritecoat and my trusty helmet! Why ride? 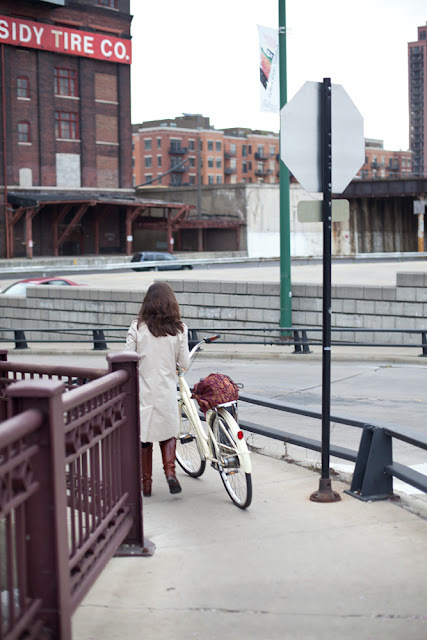 I ride to get in some exercise, enjoy my commute, and save the planet! Favorite ride? My favorite ride has got to be Critical Mass! So much fun! And other cool, funny tips or stories? 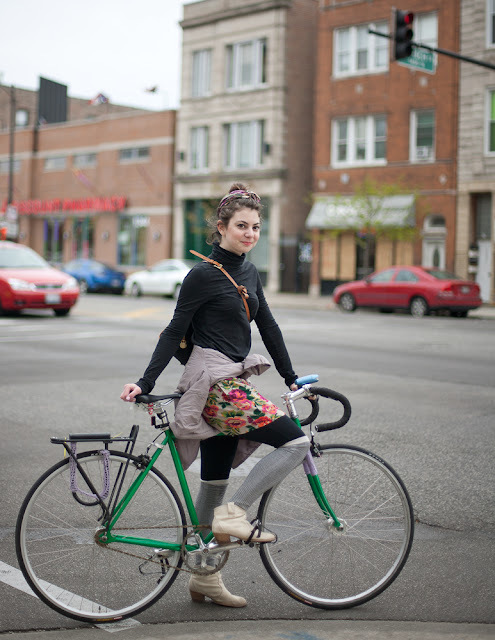 We bikers need more bike lanes, better maintenance of pot holes, and would enjoy a cyclists cafe! *** So funny that you mention a cyclist cafe. I just spent half of a day photographing at the Heritage Bicycle General Store . They make bikes and coffee!